Lavrov’s comments reiterate Russia’s critical stance regarding the US and its training of NATO allies. The US is training European states who do not possess nuclear arsenals of their own on how to use American nuclear weapons stationed there. Moscow considers it a breach of the NTP, the cornerstone of the current non-proliferation regime. Lavrov criticized the US deployment of tactical nuclear weapons on European soil as well as the involvement of non-nuclear states in training programs, at a session of the UN Conference on Disarmament in Geneva on Wednesday. “Everybody should understand that the US military are preparing the militaries of European states to use tactical nuclear weapons against Russia,” he stressed. 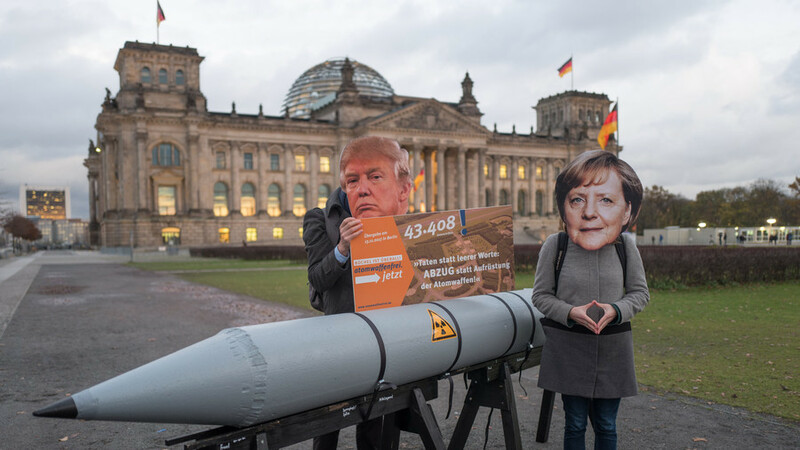 The US stores an estimated 200 of its B61 nuclear bombs in countries including Germany, Belgium, Italy, the Netherlands and Turkey as part of NATO’s nuclear-sharing program. Russia considers the presence of American nuclear weapons in other nations as a hostile gesture. The US is currently upgrading the B61, making the weapon more flexible in use, claiming it is necessary to counter Russia’s arsenal of tactical nuclear weapons. Russia says its arsenal is necessary to protect it from NATO’s overwhelming superiority in terms of conventional arms.